AllRefer.com > Pictures & Images > An aggregation of vestimentiferan tubeworms (Lamellibrachia sp. )., hydroids ( small stalked animals), and numerous copepods. An aggregation of vestimentiferan tubeworms (Lamellibrachia sp. 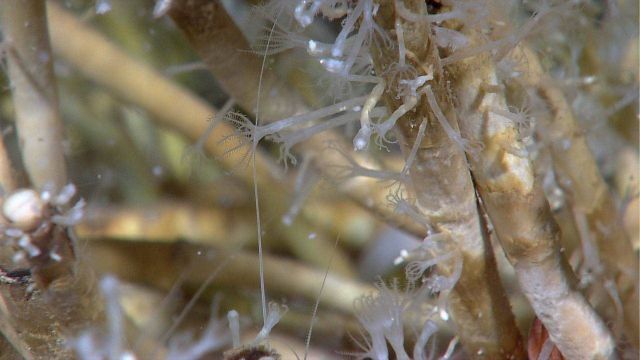 )., hydroids ( small stalked animals), and numerous copepods.